Creation Creeds — My Biblical stance as an old-Earth believer. GeoScriptures — Passages that have to do with the doctrine of creation, a subject which is much broader than just what the Bible says about evolution or the age of the Earth. I do have an advocate before the father — If I am wrong about my old-Earth ways, I have one who speaks to the Father in my defense, Jesus Christ the righteous one. He is the propitiation for my sins, including doctrinal errors. But I don’t think I am wrong about the age of the Earth. Ken Ham and I are in complete agreement — Ken and I disagree about young-Earth creationism but we agree about something far more important: we are saved by grace alone through faith in Jesus Christ alone. See also The GeoChristian on Ken Ham’s blog. October 31st — Reformation Day — Forget Halloween. October 31st commemorates something far more important. The great exchange — Christ gets my sins, I get his holiness. The bad news of the gospel — It may help to understand the Bad News before you hear the Good News. A ten-question quiz I always fail. Read the New Testament in a year — A PDF Bible-reading schedule that will get you through the New Testament in 365 short readings. Print it double-sided and use it as a bookmark. Bible-reading checklist — Not a calendar for getting through the Bible in a year, but a PDF checklist showing every chapter in the Bible that can help you meet your Bible-reading goals. A young-Earth creationist magmatic model for the origin of evaporites — Most YEC geological arguments are easy to refute. Some others are really easy. Nathaniel Jeanson of the Institute for Creation Research — I wrote a five-part series about young-Earth presentations given by Dr. Jeanson in Montana in November, 2011. The stratigraphic column — not a figment of geologists’ imagination — The geologic column—Cambrian, Ordovician, Silurian, Devonian…—is real and consistent, and in need of an explanation. Dinosaur footprints part 4 — The same problems as there were with parts 1, 2 and 3. Six bad arguments from Answers in Genesis (part 6) — Solid rocks really can fold; they don’t have to be soft (and mushy). Six bad arguments from Answers in Genesis (Part 5) — Which explains erosional gaps in geologic history better: young-Earth flood geology, or standard geological explanations? Paleontologists visit the Answers in Genesis museum — Perhaps not a single geologist or paleontologist has ever come to faith in Christ through young-Earth creationism, and the Creation Museum shows why this is true. Six bad arguments from Answers in Genesis (Part 4) –Long distance transport of sand, not explainable by flood geology. Six bad arguments from Answers in Genesis (Part 3) — Despite what the young-Earth creationists say, sedimentary layers covering hundreds of thousands of square kilometers cannot be explained by Noah’s flood. Six bad arguments from Answers in Genesis (Part 2) — “Fossil graveyards” — more problems for the young-Earthers. Stegosaurus in Cambodian temple? — It sort of looks like a Stegosaurus, but it ain’t. Dinosaur footprints part 3 — The very presence of these footprints speaks against the whole flood-geology model advocated by young-Earth creationists. Following more wrong footprints — A human footprint in Permian rocks? Sigh. The Bible rocks — endorsements — The book The Bible, Rocks, and Time gives a crushing analysis of young-Earth creationism from the point of view of two geology professors who uphold the doctrine of Biblical inerrancy. 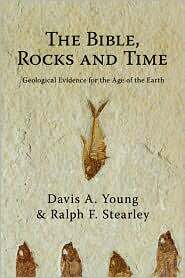 The Bible rocks — a preview of The Bible, Rocks, and Time by Christian geologists Davis Young and Ralph Stearley. Bad apologetics and the search for Noah’s Ark — Every few years someone else finds the real Noah’s Ark. Sort of like finding a true piece of the cross of Christ back in the middle ages. The YEC “salty seawater” argument — not worth a grain of salt — Do the oceans prove that Earth cannot be billions of years old? PCA General Assembly includes a seminar on the age of the Earth — The Presbyterian Church in America considers both young-Earth and old-Earth interpretations to be within the bounds of orthodoxy. Some YECs would prefer that the old-Earthers be silenced. Regarding “PCA Geologists on the Age of the Earth” — Six geologists in the Presbyterian Church of America make a strong case that the scientific evidence all points to an old Earth. Perhaps the oceans haven’t been created yet — Following YEC reasoning to its logical conclusion. Aluminum and the 100-year old oceans — Answers in Genesis and other young-Earth creationists continue to use a really, really, bad argument for the age of the Earth. Mixed marriages and the age of the Earth — A letter to a former student. Ken Ham vs. Bill Nye post-debate analysis — Far from being “Scopes II,” the Ham-Nye debate of 4 February 2014 wasn’t all that useful. Neither Ham nor Nye said a thing that would have scored a single point with their opponent’s followers. A historical Adam — Adam was a real person, not a myth. The other book that saved me — Many YEC geology undergraduates have a crisis of faith when they see how bad YEC geology is. I didn’t. 500,000 — to commemorate the 500,000th “hit” on The GeoChristian, I copied quotes from emails I have received over the past few years. Ken Ham and Richard Dawkins agree with each other, but they are both wrong — Creationist Ham and atheist Dawkins both insist that Christianity and evolution are completely incompatible. They both need to read their Bibles without their YEC sunglasses on. Ken Ham, home schooling, and theological orthodoxy — Many YECs want us old-Earthers silenced. John MacArthur on the age of the Earth and theistic evolution — Pastor and Bible teacher John MacArthur goes beyond what the Bible says, yet grudgingly acknowledges that old-Earthers can be Christians. The doctrine of creation before Westminster and before Darwin — Some aspects of YEC-ism are relatively new inventions. Dr. Dino still in prison — Some young-Earth creationists are more wrong than others. Kent Hovind is both very wrong and very popular. YEC B.S. in geology program — My thoughts on Cedarville University’s new degree in geology. Another Christian leader who believes the Bible does not require a young Earth — Justin Taylor — Justin Taylor is senior vice president of Crossway Books, publisher of the English Standard Version (ESV) Bible. Many top advocates of Biblical authority accept an old Earth as completely compatible with Scripture — This shoots down the common YEC assertion that Old Earth = Compromise. J.P. Moreland’s advice to young-Earth creationists — It is better to take the second-best interpretation of Scripture if it works well with outside evidence, as opposed to taking the best interpretation of Scripture if it flatly contradicts the outside evidence. C.S. Lewis, evolutionist — Lewis believed that biological evolution posed little threat to Christianity. William Jennings Bryan — the prosecutor at the Scopes trial hated evolution, but had no problem with a very old Earth. J. Gresham Machen on the age of the Earth — Machen was a staunch defender of Christian orthodoxy and Biblical inerrancy, and had no problem with the idea of an old Earth. John Piper and the age of the Earth — Here’s what is important: God created the universe, Adam and Eve were real, the creation is good. John Piper and the age of the Earth — part 2 — John Piper makes a stronger statement about the age of the Earth. Fundamentalism and creationism — B.B. Warfield, James Orr, and William Jennings Bryan (of Scopes trial fame) were all old-Earthers. Augustine: The Literal Meaning of Genesis — Augustine didn’t read Genesis in the same literal way that the young-Earthers do. Spurgeon 0n science — In Spurgeon’s mind, both the “irreligious scientist” and the “unscientific Christian” are wrong. 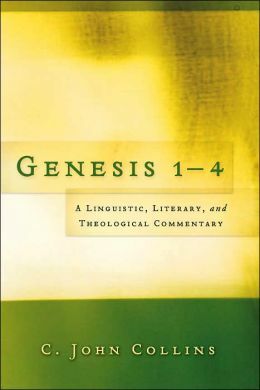 Derek Kidner on Genesis — From the Tyndale Old Testament Commentary series. Francis Schaeffer on the age of the Earth — from his book Genesis in Space and Time. The ESV Study Bible on creation — Dinosaurs in Job? — YECs often assert that dinosaurs are mentioned in the Biblical book of Job. Nope. 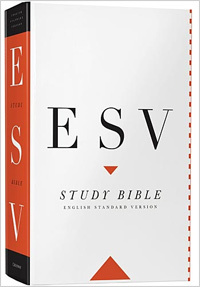 The ESV Study Bible on creation — Noah’s flood — YECs teach that the Bible requires a global flood. Nope. 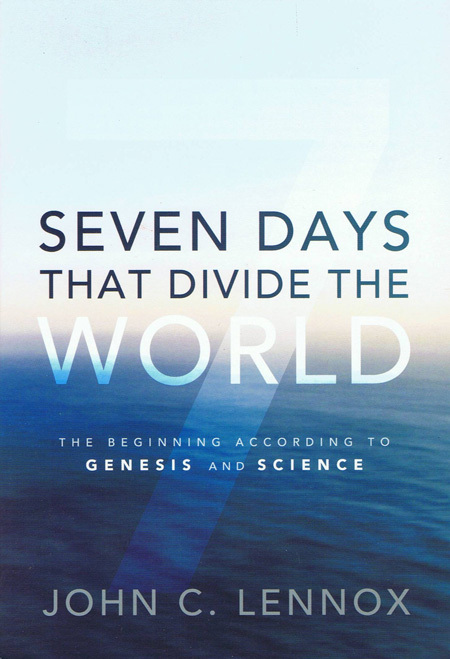 The ESV Study Bible on creation — Genesis 1 — YECs tell us that Genesis 1 requires a young Earth. Nope. The ESV Study Bible on creation — Introduction and Introduction to Genesis — YECs tell us that if we deny their key doctrines (young Earth, global flood) we don’t really believe the Bible. Nope. Why can’t I just believe the Bible? — I do believe the Bible. I just don’t believe Answers in Genesis. The YEC “Did God really say…?” tactic — It is often the YECs who say things that God didn’t say. I apply this to Noah’s flood. “Apologetics Study Bible for Students” on the age of the Earth — This study Bible from the Southern Baptists takes a nice, balanced approach to Genesis. Is accepting an old Earth heresy? — Some place young-Earth creationism up there with (or perhaps above) the doctrine of the Trinity in importance. Death before the fall — an old-Earth perspective — Young-Earth creationists commonly say that the Bible says there was no animal death before Adam’s fall into sin. This concept isn’t found in the Bible. All truth is God’s truth — God tells the truth in all areas, not just in the Bible. Day-age time chart — A nice summary of one of the old-Earth options, from Reasons to Believe. What the Bible says directly about evolution — This page intentionally left blank. Darwin’s birthday #2 — Scientists reject Christianity because of young-Earth creationism. Christians reject evolution because some use it as an excuse to not believe. It doesn’t have to be so. Rush is wrong — Analyzing Limbaugh’s statement on God and global warming — Does the Bible teach that Earth is virtually indestructible? Or does it teach that creation suffers because of human sin? There is more than one way to be really wrong about the environment — There are environmental extremists on the left, and there are anti-environmental extremists on the right. Both are wrong. Operation World — missions and the Earth and environmental sciences — The missions prayer book Operation World notes the interrelationships between the environment and Christian missions. 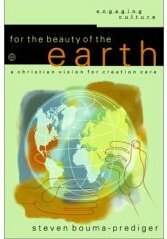 Christ-centered creation care — Why Christians should be interested in the health of the environment. Environmental philosophies – some preliminary thoughts — Sifting through some perspectives on the environment. Crunchy Con Environmentalism — As a conservative and as a Christian, there are plenty of good reasons to be an environmentalist. Pollution and the Death of Man — Francis Schaeffer’s book on the environment. Francis Schaeffer recognized long ago that the ecological crisis is real, but few have listened. Nature’s enduring value is not in what it can provide us — A Biblical perspective is that nature is good, period. Why don’t we get it? — Evangelicals are often perceived as being anti-environmental as well as anti-science. A few thoughts from Dean Ohlman at Restoring Eden. “I looked at the Christian community and saw ugliness” — Francis Schaeffer visits some hippies and looks across the way to the Christian school. For the Beauty of the Earth — Quotes from the book by Steven Prediger-Bouma. 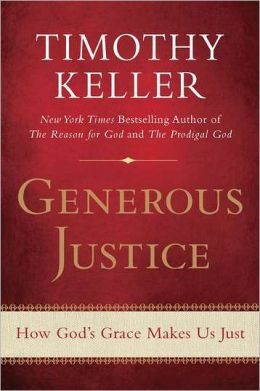 This book develops a Biblical view of creation care that is neither Earth-centered nor man-centered, but God-centered. Compassionate conservatism vs. plunder the Earth — The Bulldoze-the-Everglades-and-Kill-the-Whales side of conservatism is no more Biblical than the Worship-the-Earth-Goddess-and-Humans-are-a-Cancer side of the environmentalist movement. Good conservative quotes on the environment — There is nothing conservative about allowing pollution and degradation of the Earth. Wendell Berry — Stewardship. Live within boundaries. Green elephants — Republicans for Environmental Protection. Hot air and thin ice — A bad argument against human-induced climate change. Earth Day 2008 — stewardship of the environment — A statement from the International Council on Biblical Inerrancy regarding stewardship of the environment. Earth Day 2008 — Christian environmentalism — Quotes from Ray Bohlin of Probe Ministries. Pollute the air, God doesn’t care — Using the doctrine of God’s sovereignty to make excuses for sin. Days, nights, Jonah, and Jesus — Another “Bible contradiction” in which it is the skeptics, not the Bible, who are in error. The reality of the resurrection — Adherence to Christianity, with its belief in the resurrection of Jesus Christ, is by no means an irrational endeavor. Dealing with an apparent Bible contradiction — John tells us that the first disciples were called through the ministry of John the Baptist. Matthew tells us that it occurred while they were fishermen at the Sea of Galilee. Which one is correct? Bad arguments for Christianity — I believe Christianity to be true, but there are good reasons to believe it is true, and some not-quite-so-good reasons. 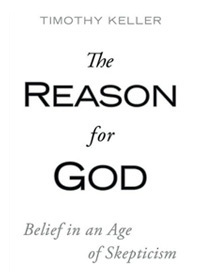 Ten arguments for God’s existence — Some of the arguments that work for me might not work as well for you, and vice versa. The moral argument for God’s existence — The only way to be a logically consistent atheist is to deny that actions can be classified as good or evil. That is a rather poor foundation for life or society. More thoughts on the cosmological argument — There are only three possible explanations for why the universe exists: 1)It has always existed. 2)It created itself. 3) It was created by something outside of itself. Anne Rice on faith — There are many reasons people come to faith in Christ. Author Anne Rice describes her journey from Christianity to atheism and back to Christianity. Unicorns, the Bible and education — How do you reply to the skeptic who says he cannot believe the Bible because it has dragons and unicorns? Stephen Hawking, eternal life, and fairy tales — Professor Hawking is pretty good at physics; not quite so strong on some other things. Consider Atheism? I don’t think so — The American Humanist Association’s rather irrational “Consider Humanism” advertising campaign. Stephen Hawking’s mistake — A multiverse would not negate the need for God. More atheist quotes on Dawkins and the new atheists — There are good reasons why some atheists find Dawkins to be embarrassing. The new atheists: summary of arguments — Somewhat tongue-in-cheek. Or maybe not. Christian to atheist to Christian — testimony of A.N. Wilson. The abyss of atheism — not all atheists go to the extremes of Peter Singer, but what is stopping them? Atheist: Africa needs God — Atheist says, “In Africa Christianity changes people’s hearts. It brings a spiritual transformation. The rebirth is real. The change is good.” I think he’s right. Christianity—protection against superstition and the paranormal — Rejecting Christianity doesn’t necessarily lead to an enlightened society; it seems to lead to an increase in astrology and palm reading instead. Quotes on atheism 2 — a few quotes from C.S. Lewis. Quotes on atheism — this post generated a good number of comments. Earthquakes and the year of Christ’s crucifixion — News reports make a big deal about a study that really does little to help figure out whether Christ was crucified in AD 30 or 33. Dietrich Bonhoeffer — Life Together — How to live in Christian community. Fifty million little leaguers and pianists later — What I should have said to a pro-abortion coworker. Spiritual growth in this life — a brief quote from Martin Luther. The foolishness of our own atheism — sometimes we Christians act as if God were not there. Happy New Year with a Bonhoeffer quote — What can God do with evil? Life Together quotes #2 — From chapters 3-5 of Life Together by Bonhoeffer. A Christ-centered message — Preaching as it ought to be, from the pastor of Red Rocks Fellowship in Littleton, Colorado. Life Together quotes — From chapters 1-2 of Life Together by Bonhoeffer. Bonhoeffer was a bit liberal theologically, but the Christ-centeredness of his writings puts to shame much of what goes on in Evangelicalism today. A model for youth ministry — Depth and hard work; a quote from Richard Foster. Getting the gospel right — The gospel is all about what God has done for us in Christ, not about what we do for him. The thirteen critical problems facing contemporary Evangelicalism — from the Internet Monk. White Horse Inn — My favorite radio program. Christ-centered Christianity. A Montana native’s perception of New York City — I’ve been there, so I ought to know. Maps showing every country, state, and county I have ever been in — An expression of my INTP nerdy side. Resolving the tension — a brief account of how I got to be where I am.